In Small Things Remembered » The first official U.S.-Afghan meeting. The first official U.S.-Afghan meeting. a. 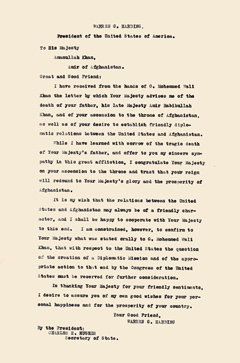 Letter from Emir Amanullah to President Warren G. Harding (English). b. 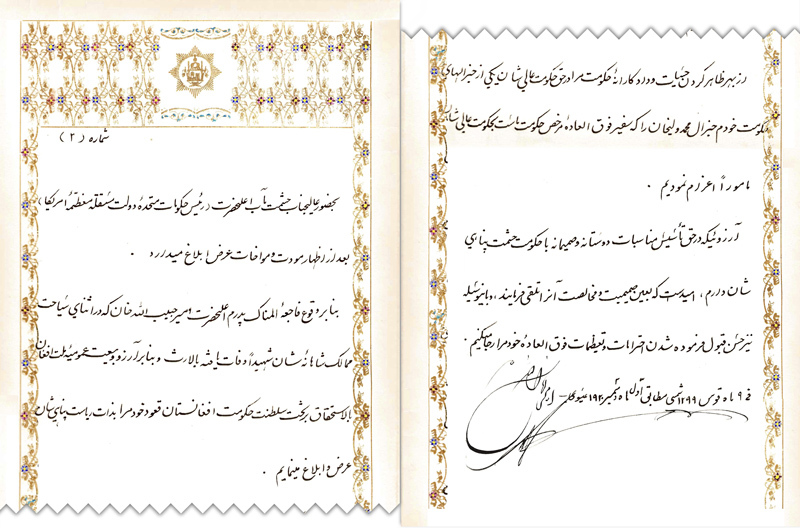 The Emir’s letter to the President (Dari). 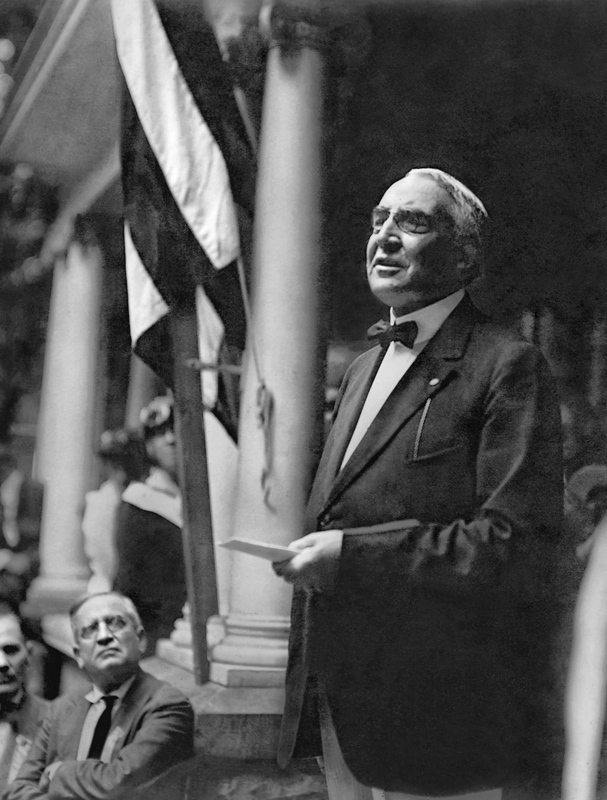 c. President Harding. 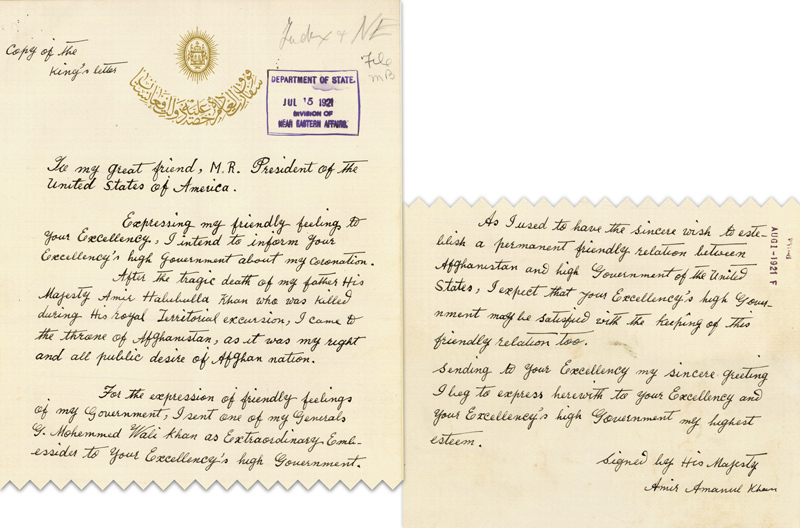 d. Letter from the President to the Emir. 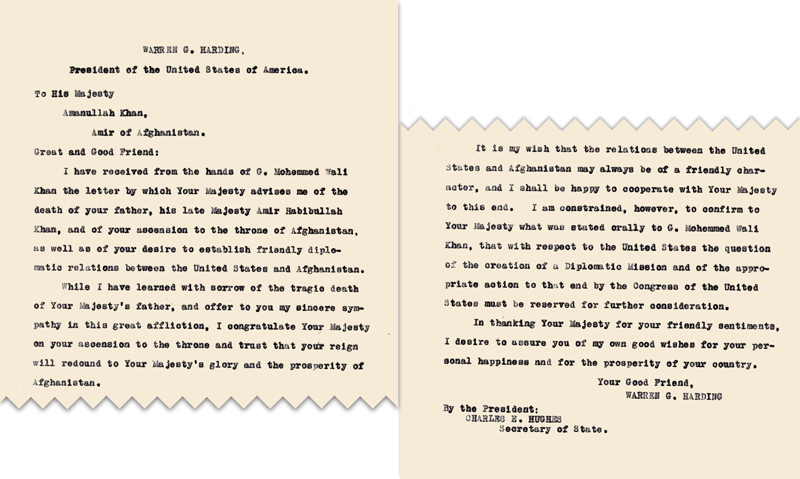 Mohammed Wali gave President Harding a leather-bound album of letters from Emir Amanullah and Minister of Foreign Affairs, Mahmood Tarzi. These documents, with their ornate calligraphy and hand-painted borders, are preserved in the National Archives of the United States outside of Washington, D.C.
Department of State Central Decimal File 890H.001 Am1/1; RG 59. Courtesy of the Ohio Historical Society. AL03540.